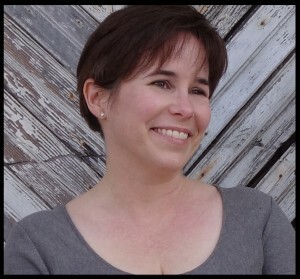 From Chelsea/VBC: Today we have author Fran Wilde on the blog. 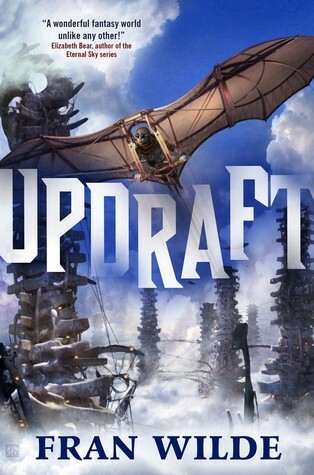 Her new novel Updraft is a refreshing read with touches of sci-fi and fantasy and steampunk, and basically VBC thinks you’ll dig it big time. You should probably buy a copy today , but in the meantime we have Fran here to talk about looking at things from a new perspective. Be sure to read to the end for your chance to win a copy of Updraft. A long time ago, one of my poetry teachers suggested I go hang upside-down from a jungle gym. She wasn’t trying to get rid of me. It was an assignment. She wanted me to shake up how I looked at the world. I did as she suggested then, and I’m still doing it. In fact, I might have taken the charge a bit too far. A city of bone rising high above the clouds, the past lost to legend, where danger lurks on the wind. Where did I come up with that, some have asked. “Some” might include certain family members of mine…. Simple answer: I like to turn things upside-down. I like to ask questions about the familiar. Longer answer: Those questions include: What if the clouds were below us, not above? How would that change the world, and our approach to it? What if gravity were an every-day threat, rather than what keeps us comfortably on the ground? What if the space we lived in, and relied on, was alive in some way, and growing. With all that entailed – the changes and surprises. Lastly, what if the very substance that surrounded you, that you needed to breathe, to fly, to live, contained an invisible, deadly threat. One that only became visible when it opened its mouth, red and gaping, in order to swallow you. That’s part of how I came up with the world of Updraft. I also spent a lot of time listening to and watching birds. Turkey vultures, hawks, eagles, ravens, and crows, to be exact. Turkey vultures soar the drafts on hillsides and waterfront cliffs. When they do, they rarely flap their wings, preferring instead to ride the wind. Hawks, too, and eagles sometimes, although they are more willing to expend the energy. But turkey vultures can circle and glide for a whole afternoon. Their awareness of the wind is as incredible as their appearance is pretty horrible to look at. Poor birds. Watching them let me up-end assumptions in another way. We often think about flight as involving moveable wings, and flapping. But gliders, and surfing the vents, are equally appropriate, especially in certain wind conditions. Birds have another important impact on the culture of Updraft. Almost all of the names in the city, as well as some of the tower names, are reminiscent of bird calls. I walked the woods near my home for hours, listening, and again by the cliffs near the Chesapeake Bay. Any community is influenced in their nomenclature by the sounds around them – and this city, having risen so far away from its past more so than others. Kirit, Nat, Wik, Ezarit, Sidra, Elna — all are inspired by bird calls and chirps, as are some of the wing formation signals. The towers, too have many upside-down, from the high-tech spires in modern megacities (turned on their heads to the lowest of organics) to a multi-spired cathedral in DC that I used to see all the time rising from the hillside during my third-shift commute on my first job. Also the bone antlers and horns in the Academy of Natural Sciences in Philadelphia. And the parallel theories of “higher” and “more” being aspirations in some communities, but not always good for those communities. Turning common things upside-down: air, gravity, home, culture, flight. In short, I wanted to look in strange, upside-down ways at things we often don’t notice, they’re so familiar. Fran Wilde’s first novel, Updraft, debuts from Tor Books on September 1, 2015. Her short stories have appeared at Tor.com, Beneath Ceaseless Skies, Uncanny Magazine, and in Asimovs’ and Nature. Fran also interviews authors about food in fiction at Cooking the Books, and blogs for GeekMom and SFSignal. You can find Fran at her website, Twitter, and Facebook. My twitter feed is full of glowing reviews for this book. It definitely got my attention! I love finding new reads that bring something different to the genre. Your description makes me very excited to read this, and knowing where your ideas came from makes it even better. In the paranormal genre I often wonder how in the world they came up with such a unique idea. Thank you for a glimpse into your process. This book looks intriguing. Definitely will be adding it to my TBR list. Thanks for the giveaway. This looks like it could be super fun and I love the cover! I keep seeing this pop up in respected places, really need to add it to the giant ‘to read’ tower of books. I’m very psyched to read this book! Looks good! Would love to win a copy!